Senior Zenzele Ojore 18 PH is clearly living up to her name, which means “she will do it herself” in the South African Xhosa language. When she was still in high school, a short film she made called Drop was screened at SXSW and distributed by IndieFlix. 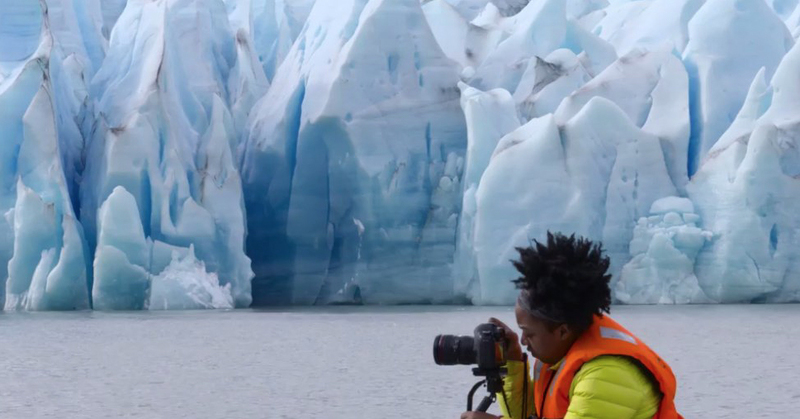 Since coming to RISD, she has traveled to Patagonia to create an incredible photo installation for Adobe Passport, represented Photoshop and Lightroom in Adobe’s ubiquitous Made by Students campaign and shared her mesmerizing GIF collages (see below) with millions of viewers via Vice’s Creators project. 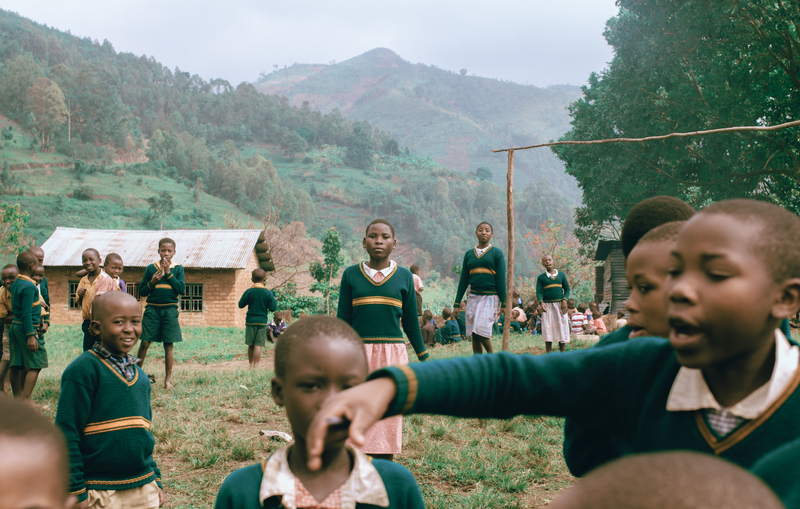 Greens and pinks emerged as a common thread in the images Ojore made of the Bakiga and Batwa during her summer Maharam STEAM Fellowship in Uganda. Last summer Ojore’s extracurricular adventures took her to Africa for the first time, where she put her skills to use promoting the conservation work of the Uganda Wildlife Authority. With support from a Maharam STEAM Fellowship, one of many programs managed by RISD Careers, she trailed a team of Bashiga trackers monitoring the world’s largest group of protected mountain gorillas (approximately 400) in Uganda’s Bwindi Impenetrable National Park. The artist in Patagonia in 2016. Although Ojore’s original plan had been to do a summer internship with the Ugandan nonprofit Big Beyond, the organization imploded mere weeks before her planned arrival. So, in typical “do it herself” fashion, she restructured her proposal on the fly and became the first American to work directly with the Uganda Wildlife Authority. Local school girls were surprised to encounter a black American "tourist." 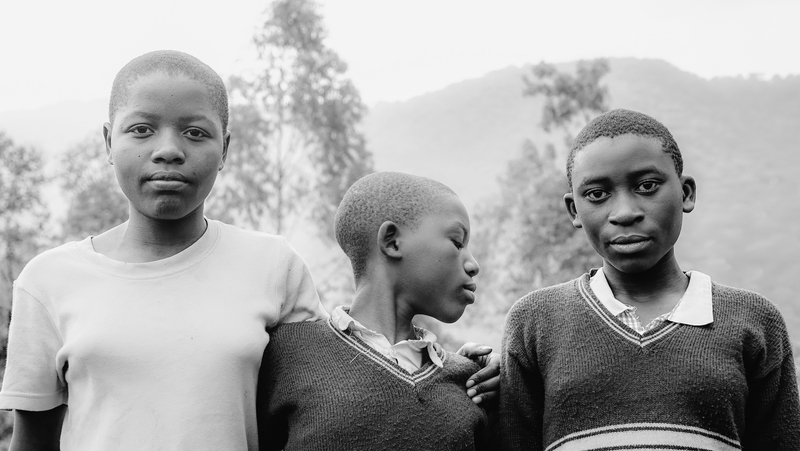 In addition to the gorilla tracking, Ojore explains that the primary focus of her fellowship “was the Batwa pigmy people who lived inside the park until 1992 and have since begun a whole new life just outside its borders.” The Batwa quickly assimilated with the culture surrounding them and now rely on tourism for their survival. Ojore's GIF collages were highlighted by Vice. Ojore devoted her time in Africa to gathering “resource material” in the form of both still and moving photography. But once she returned home, developed the film and laid everything out on a table, she began making connections and considering how this latest work fits in with her larger personal practice. Ojore only recently changed her major from Film/Animation/Video to Photography, but she says that RISD’s curricular flexibility has allowed the shift to be fairly seamless. And although she’s used to “making her own way,” she notes that some of the closest connections she has made on campus are not with fellow students but rather with other black women artists who work at RISD, including Career Advisor Karen Harris 86 IL. A Maharam STEAM Fellowship enabled Lee Pivnik 18 SC to pursue his ongoing commitment to conservation during a summer residency in Arizona. RISD and leading textile firm Maharam celebrated five years of the Maharam STEAM Fellowship and announced its renewal at the Maharam Design Studio in Manhattan.